US President Barack Obama said last week during a Google group video chat its time to retire the penny in America as the country is spending money on something it doesn't really use. According to US Mint data, in 2012, each one-cent piece costs two cents to make, while a nickel cost 10 cents. 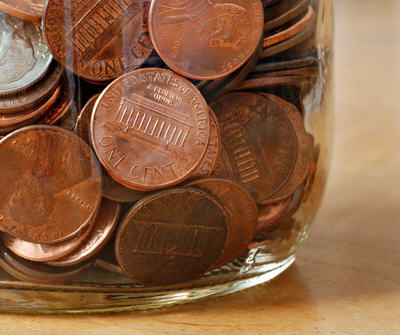 The total cost of minting just pennies was about $58 million. The president acknowledged it would take a change in legislation approved by the US Congress to discontinue the one-cent coin and bigger issues tend to push such items to the side of the agenda. Some citizens have formed a lobby group to retire the penny. While others, Americans for Common Cents, have an advocacy group to keep the coin. An American one-cent piece is made of 97.5% zinc and 2.5% copper, while a nickel is made of 75% copper and 25% nickel. Fluctuating commodity prices for the materials affect the production costs. The US Mint is researching alternative metallic materials for circulating coins. Canada stopped minting its penny this year, following the lead of countries like Australia and Sweden.